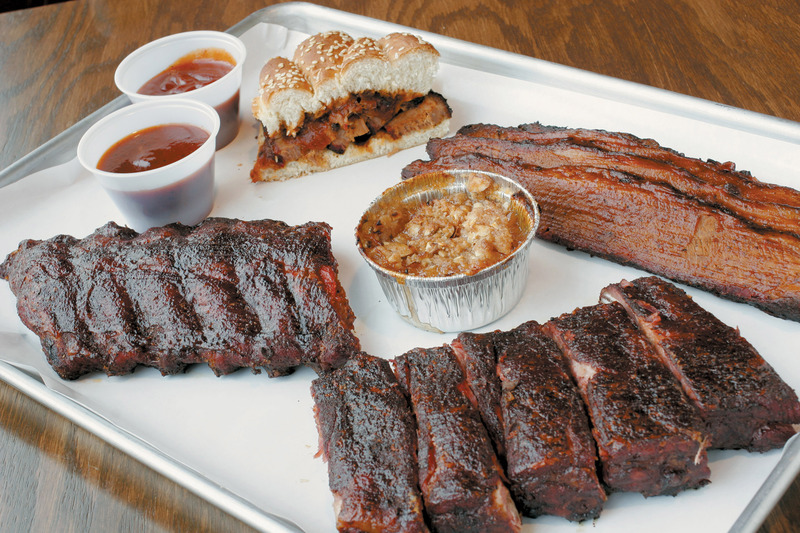 Photograph: Brendan Lekan Lillie's Q, located in Wicker Park, is one of the best barbecue restaurants in Chicago. 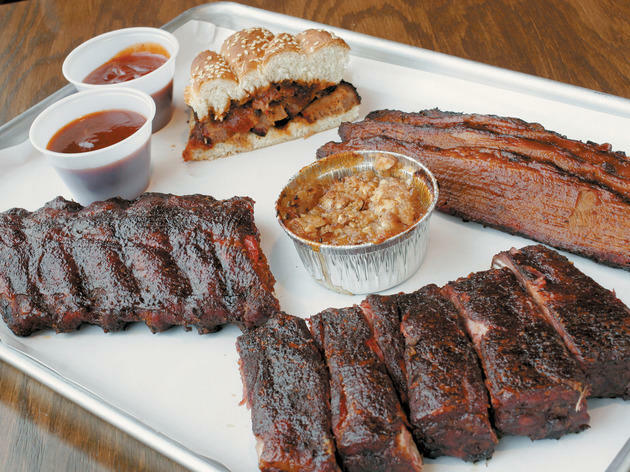 Chicago may not be one of the major barbecue regions, but we have a style all our own, epitomized by rib tips at spots like Honey 1 BBQ and Lem's. 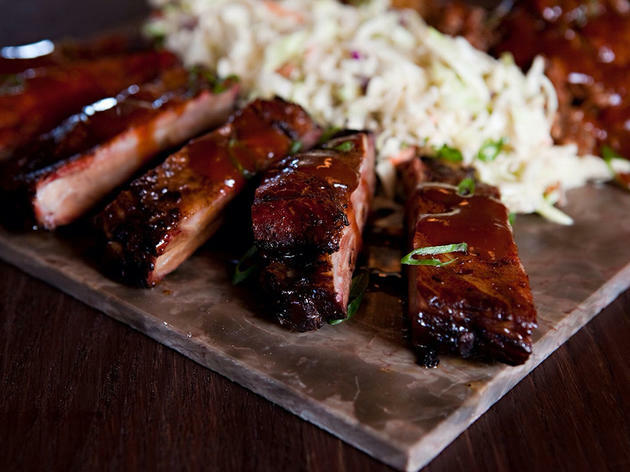 From Chatham to Pilsen to Wicker Park and beyond, the best BBQ in Chicago is found all over the city, so there's likely a great place near you. 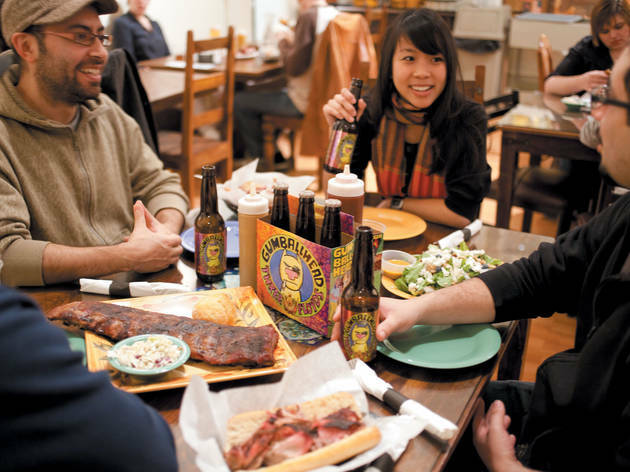 Tip: Some restaurants are takeout only, so pick up some craft beer to have alongside your ribs. 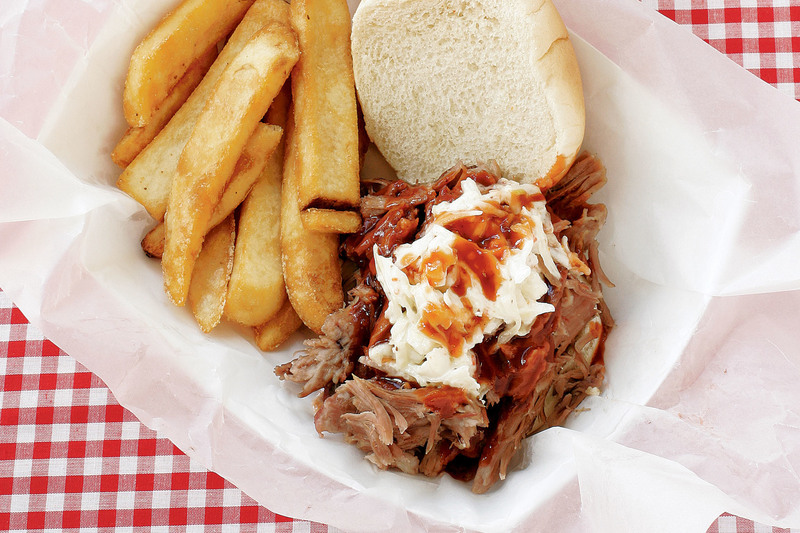 The father and son behind this rib spot know a thing or two about barbecue—they hail from a part of Arkansas renowned for smoked meats. They moved their barbecue operation from Bucktown to Bronzeville, swapping tables for a takeout only joint. But even though you'll need to figure out where to eat (tip: drive to the Lakefront), the slabs of meaty, tender spareribs; a whole mess of rib tips; a plate of hot links and juicy smoked chicken are still tops. At this now-famous Northwest Side barbecue joint, St. Louis spareribs are near-perfect—juicy, pull-apart tender, with subtle smokiness that doesn’t overwhelm the tangy spice rub—while pillow-soft chicken’s slick, seasoned skin gives way to meat that’s partially pink from smoke and fully flavorful. 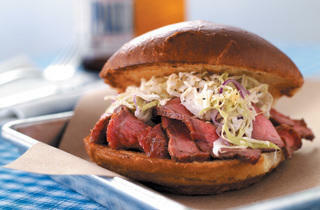 But it’s the brisket that has folks coming from far and wide. The beautifully marbled beef is given just the right treatment—it’s the stuff that shows Texans that Chicago knows ’cue too. 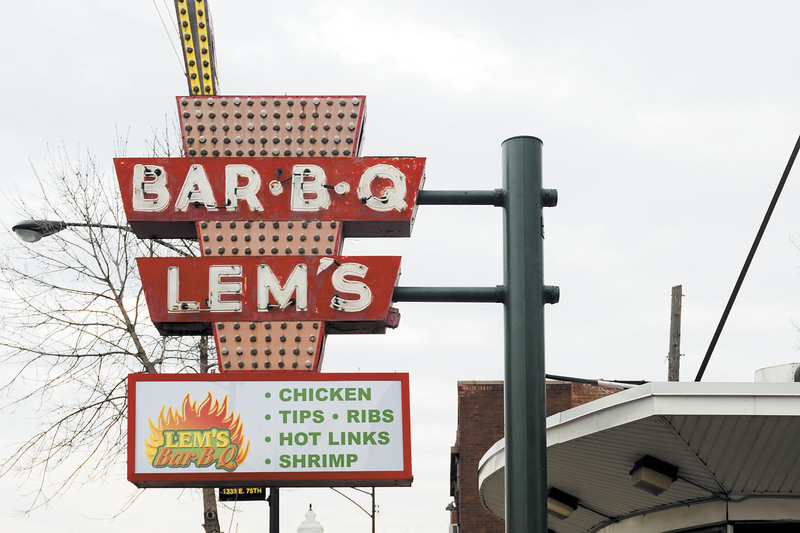 If you didn’t know that Chicago had its own style of barbecue, try South Side barbecue at Lem’s. Made in an aquarium-style smoker, the most commonly cooked meats are rib tips and hot links. 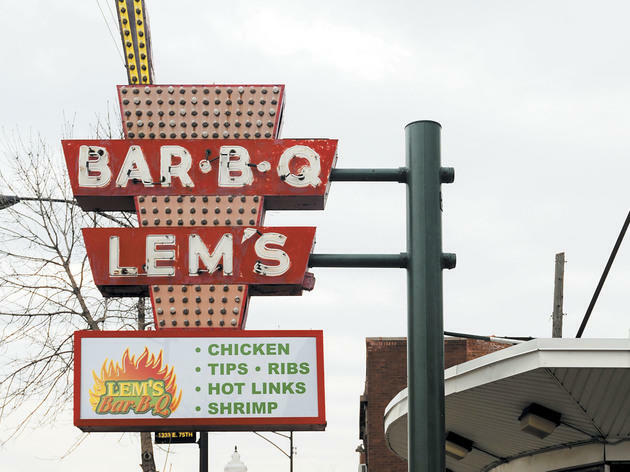 Lem’s is takeout only, so you’ll need to get your spare ribs and rib tips, which have a thin, vinegary sauce and charred outer edges hiding pink, juicy pork, to go. 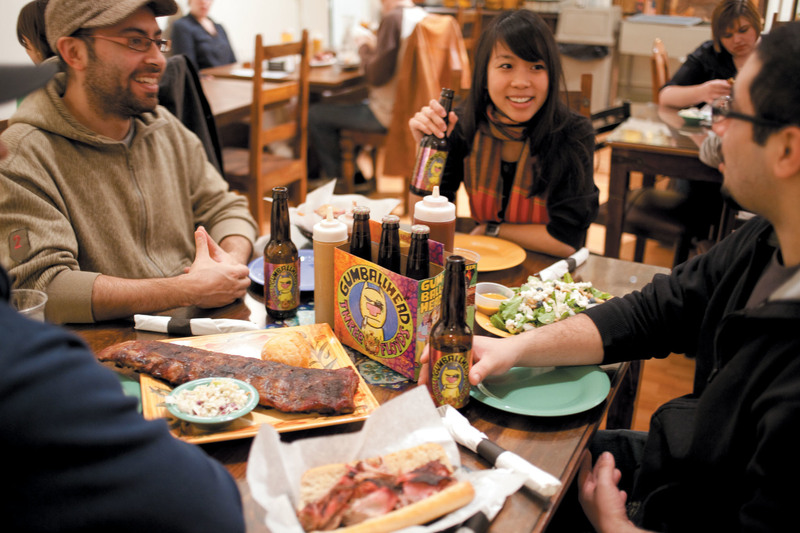 Success on the competition circuit and local festivals prompted Willie Wagner to set up a permanent home for his “Memphis-style,” dry-rubbed barbecue in Pilsen. The smoky pulled pork clocks in at one of the best around. Tender, juicy chicken comes in second for best bets, with puckery slaw and meaty beans right behind it. Make a night of it with the lively bands that play in the attached bar on the weekends. 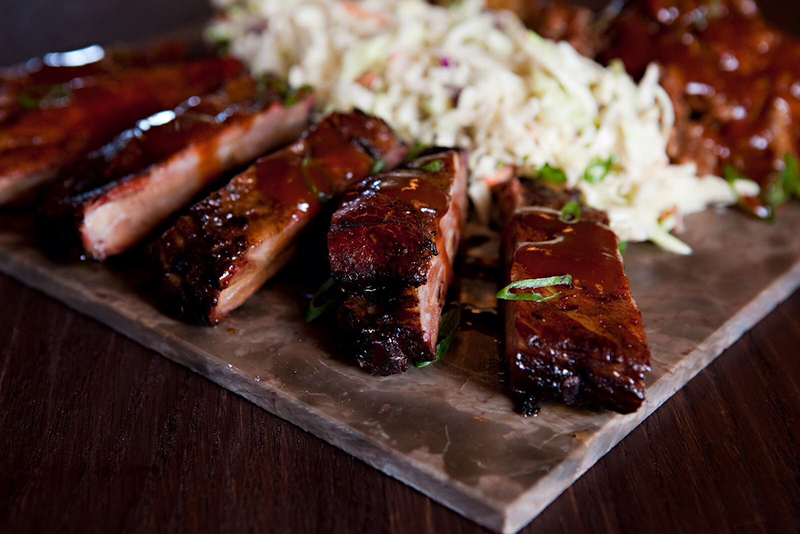 We have to admit we were skeptical that a stylish spot in Wicker Park could deliver memorable barbecue, but we ate our words with bite after bite of impressively smoky, truly tender, low-and-slow meats. Ease into the night with a moonshine-spiked Arnold Palmer or a pick from the impressive beer list and apps like fried pickles, boiled peanuts and pimiento cheese. 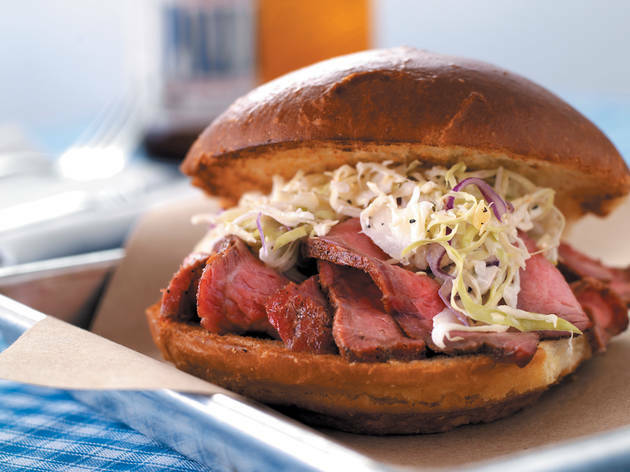 Stellar Southern classics continue with fried green tomatoes and shrimp over insanely creamy grits, but it’s the pink-tinged pulled pork and thick slices of smoked tri-tip that prove chef-owner Charlie McKenna is every bit deserving of that Memphis in May trophy behind the bar. 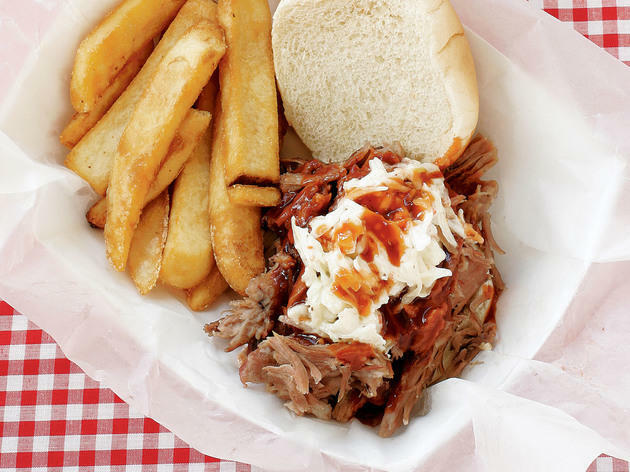 Take a slow-cooked-meat lover’s tour of America with our roundup of the best BBQ restaurants across the country.